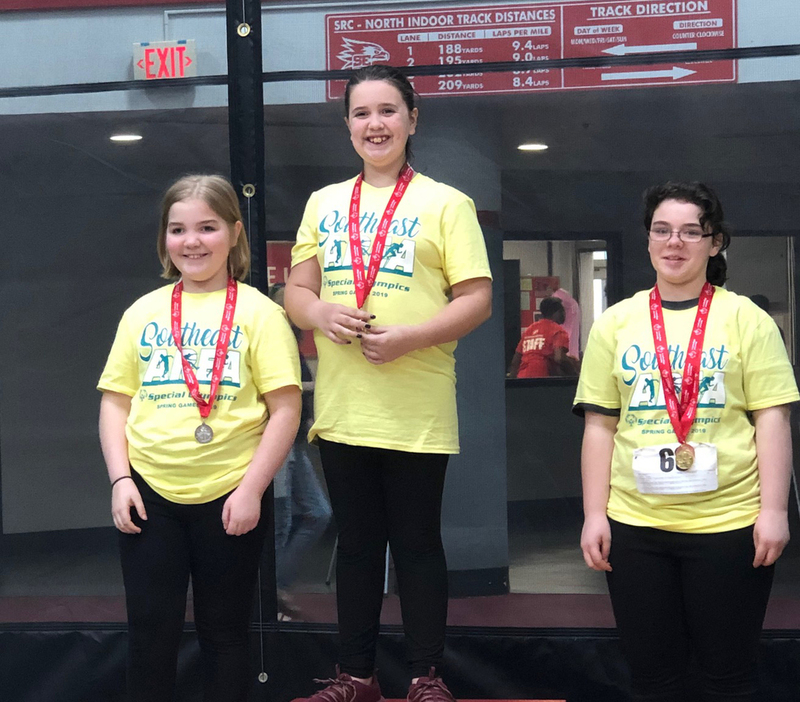 Congratulations to our Olympians who participated in the Southeast Missouri Special Olympic Games on Saturday, April 6, at the Southeast Missouri University Recreation Center! This was the second year that our Ste. Genevieve R-II students attended the event, and it was the second year that the team qualified for state! The event is for students ages 8 and up, and about 400 athletes participated. Every Ste. Genevieve R-II student qualified for state! Check out their accomplishments in the events below!